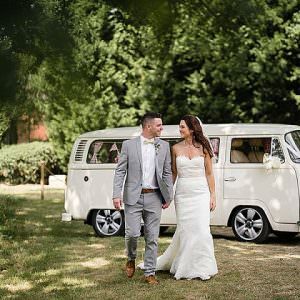 Here at Boho we love anything that will make your wedding day that bit different from the rest, that’s why we love WEDFEST. 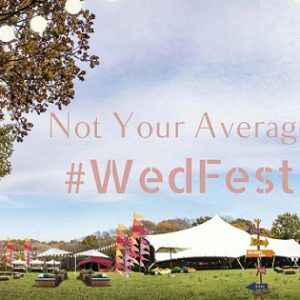 We introduced you to Wedfest a while back with their creative selection of wedding stationery all in a festival theme, as well as their super cool festival wristbands, perfect for any festival style wedding. 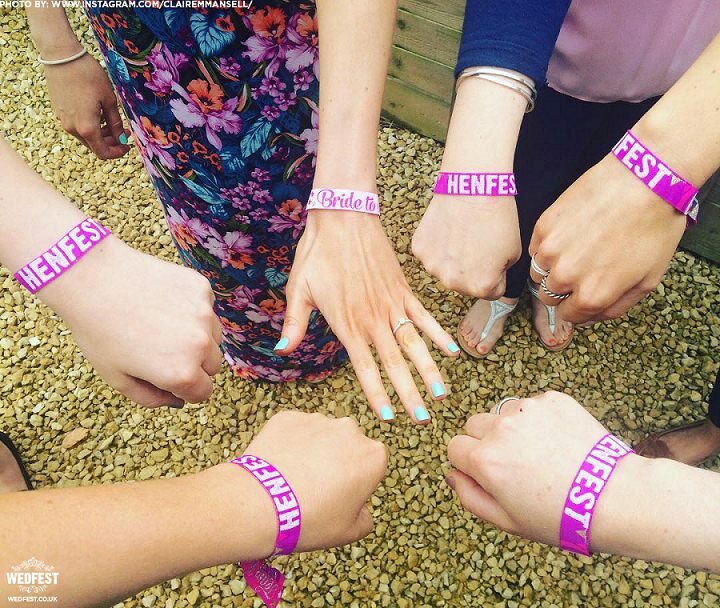 Today WEDFEST are back with something especially for all you hens and brides to be, Hen party wrist bands perfect for every hen party. 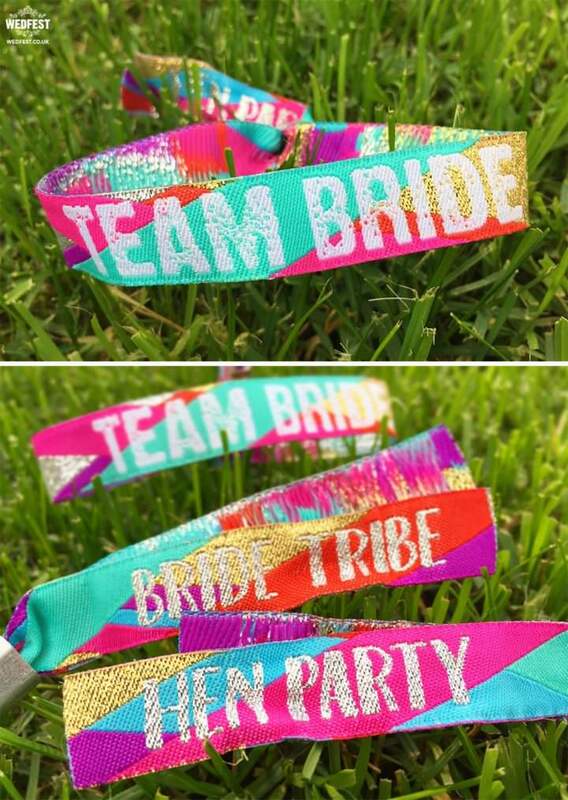 If you are currently planning a festival style wedding or festival style hen party, then these wrist bands are the perfect thing for you! 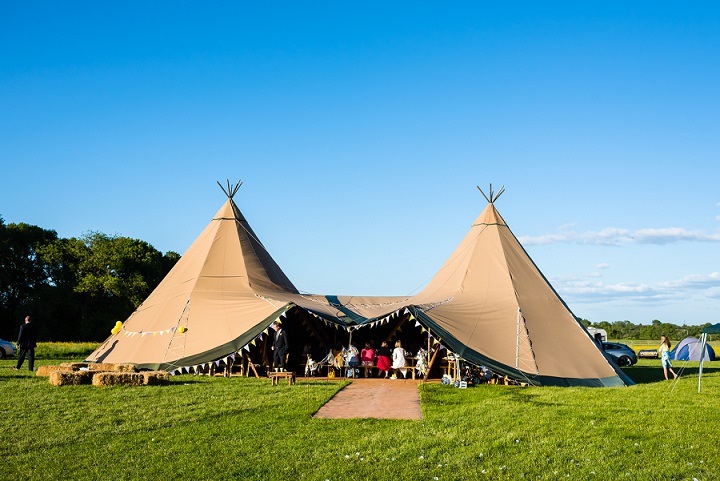 Even better if you are going to a festival for your hen party then they really are a must have! 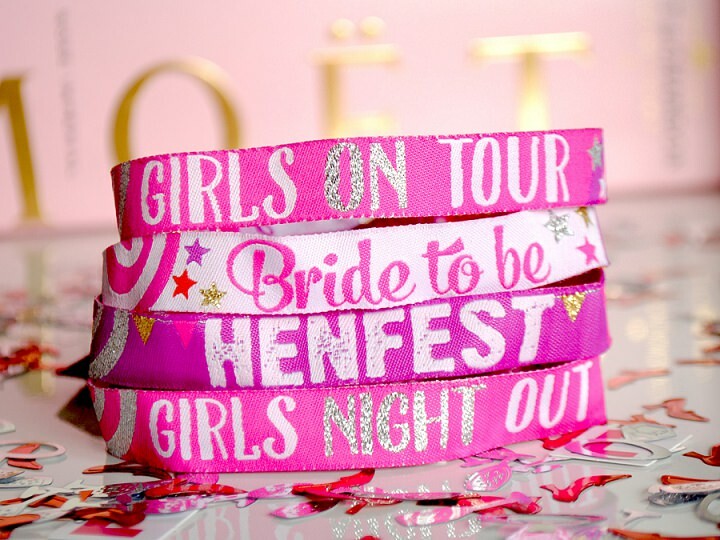 These awesome Hen Party Wristbands are the perfect accessory for all you Hen’s to wear on your Hen Night or weekend away. 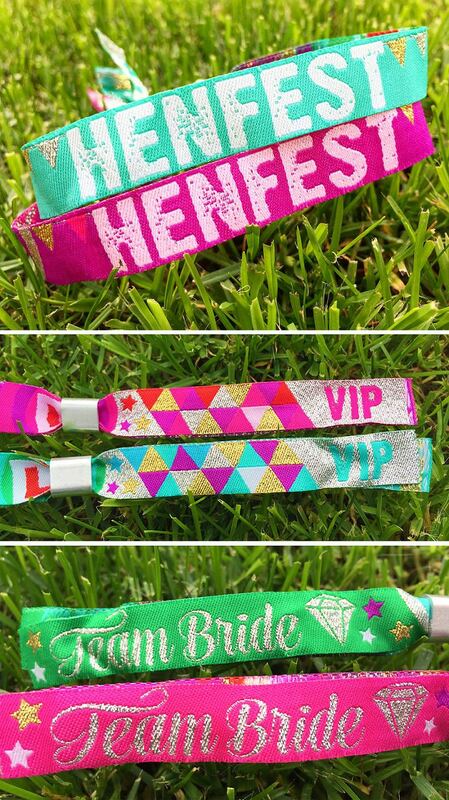 These fabric wristbands are exactly like the ones you would get at any music festival and are perfect keepsake for all your friends and family once the party weekend is over. 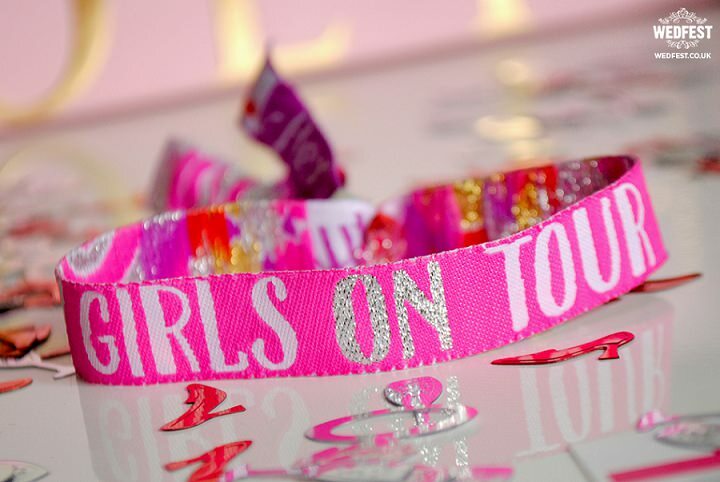 Much cooler than the printed T-shirts or Bride to Be sashes, these wrist bands and Hen Party Accessories allow your hens to wear them with style while not ruining their outfits. 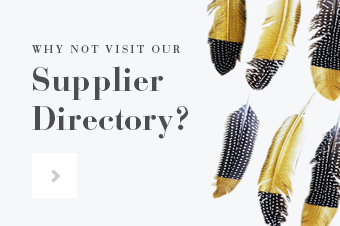 They can be worn with day wear, evening wear, even bikinis! 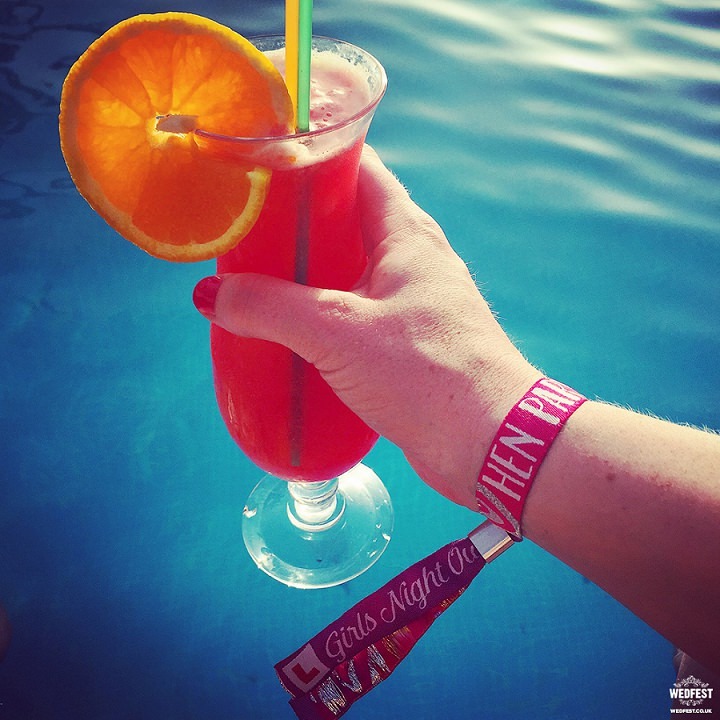 Each order comes with a designated ‘bride to be’ wristband, so everybody knows who to buy the drinks for. 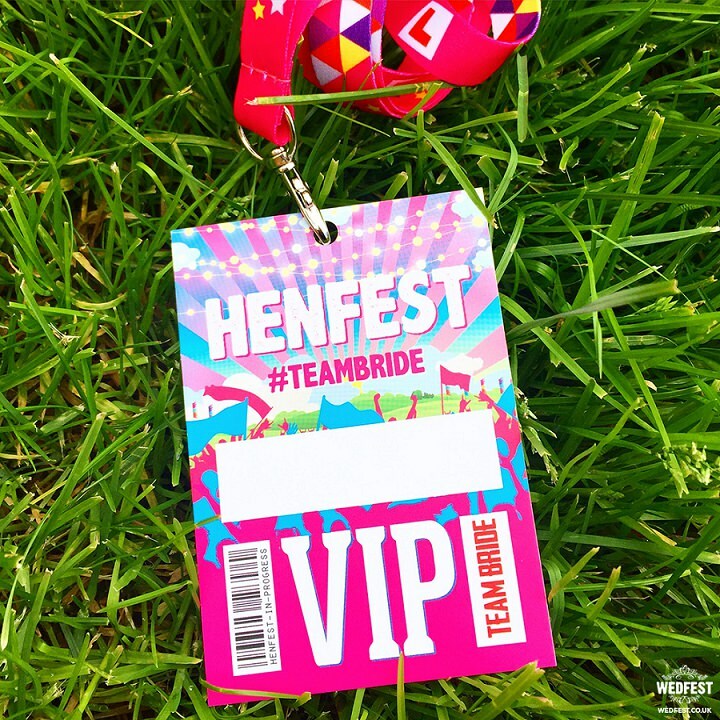 All of the Hen Do wristbands come beautifully designed and glittered to guarantee maximum impact. 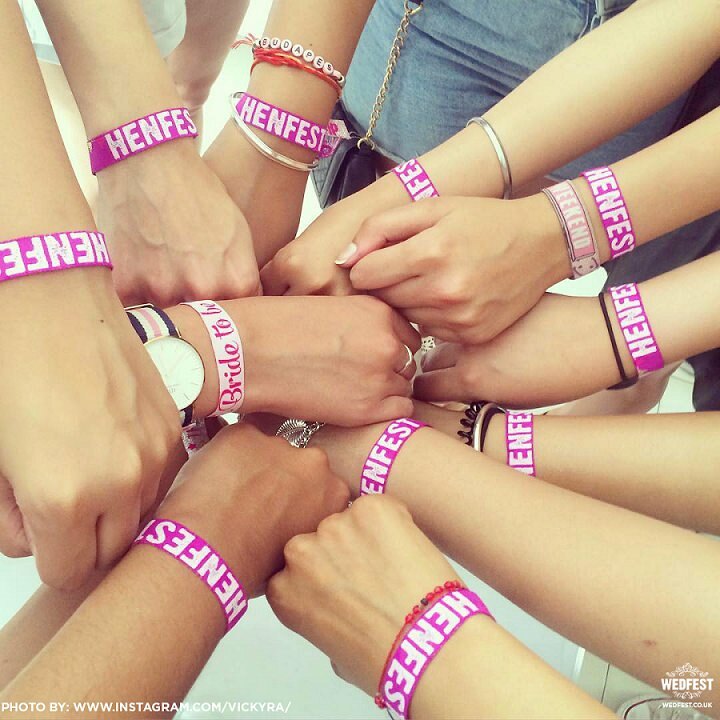 As well as the traditional English hen do, they have something for the american bachelorette’s hitting up the pool parties and nightclubs in Las Vegas and beyond. 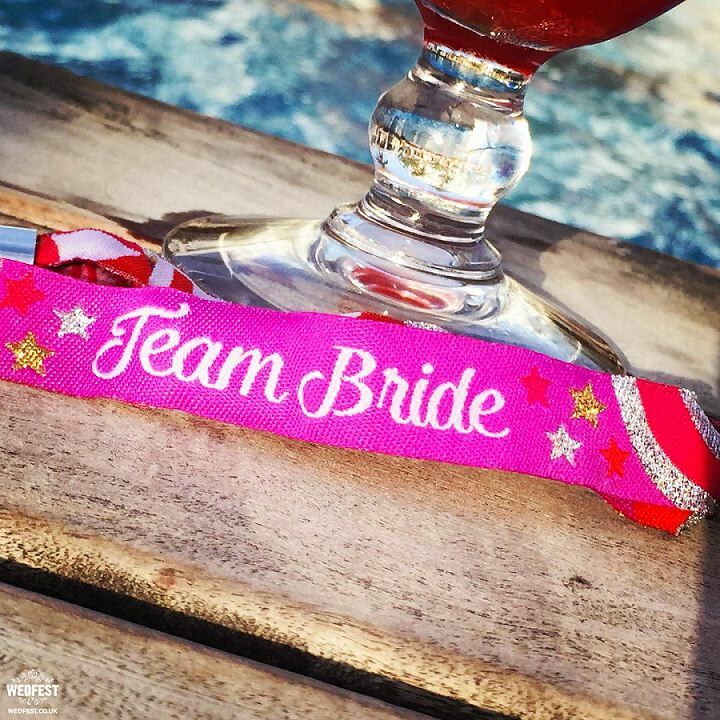 For you ladies there are beautiful Bachelorette Party Wristbands. 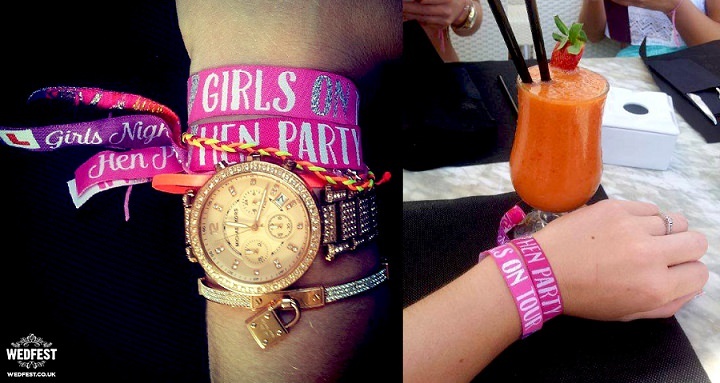 These wristbands have the text ‘Bachelorette Party‘ on the main body and ‘Team Bride’ and ‘VIP’ on the wristband tails. Perfect for heading out with your girls in Sin City or any city for that matter! 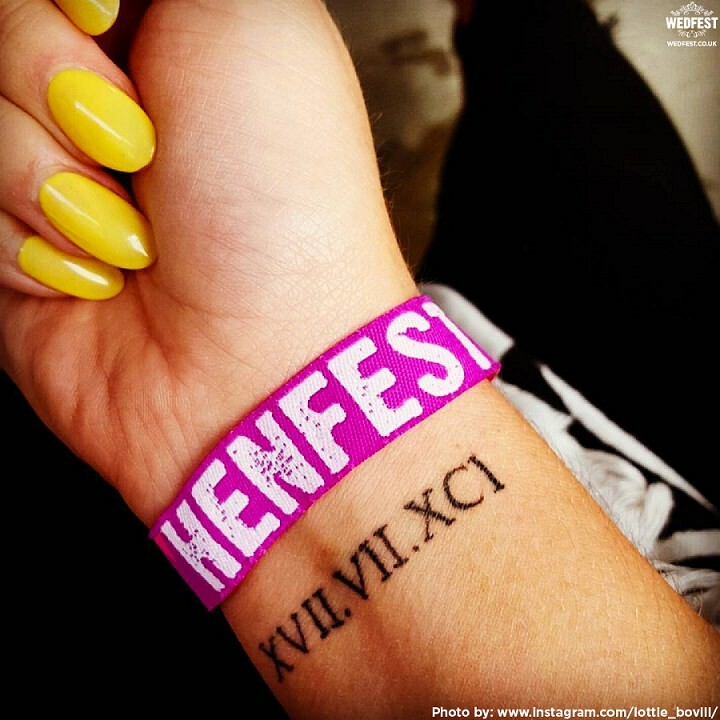 With every order of two or more hen party wristbands you get a Bride to Be wrist band included, so if you order ten Henfest wristbands nine will be HENFEST and one will be Bride to be. 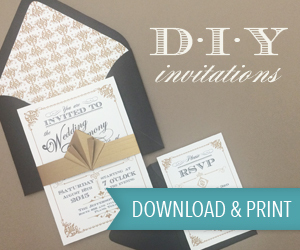 I think these are so nice! 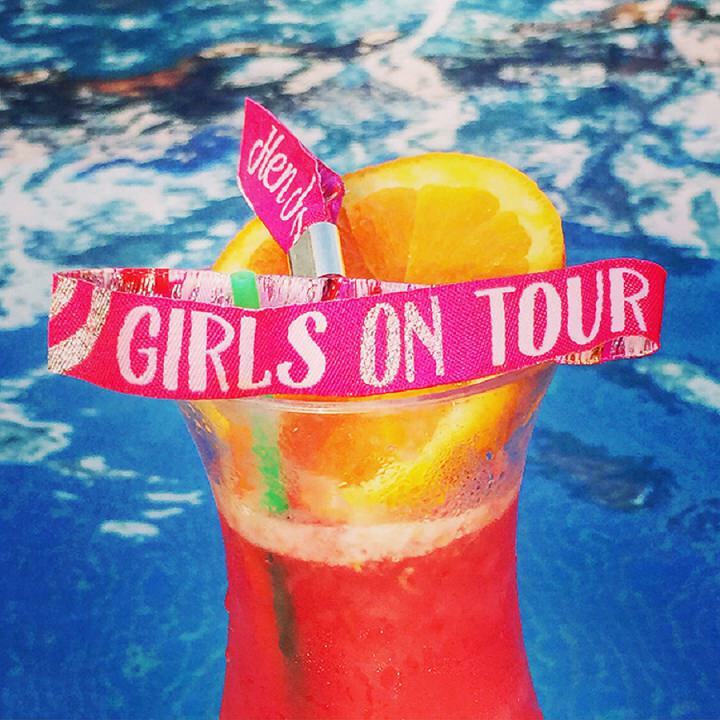 I’m going to an Ibiza hen party so we kind of wanted to keep it classy but fun, so didn’t to wear sashes when going into the pool but I think these are a great alternative. You can tell you’re all together, but it’s not going to ruin your pool party look.